Save money: Instantly compare MOT costs in Gateshead to find the best deal. Book a service at the same time as your MOT and receive further savings. Some of our garages offer MOTs for just 1p when booked alongside a service! "Friendly staff and didn't treat me like an idiot when i turned up a week early for my MOT, great value for money and was pleasantly surprised by a freshly washed car at the end. Friendly swift service and will definitely use again." "I paid for a major service on my car. I utilised the free pick up and drop off service from my house offered by G C Auto Limited because I had a busy work schedule. For the pick up, they arrived on time. During the day, they called me to say some work needed doing and talked me through that. When they were finished, they dropped off my car at home and put my key through the letter box because I was still out. I paid over the phone which didn't take long. I think the price of the major service was good value for money compared to other garages." "Very efficient garage with excellent customer service"
"Will definitely use again in the future"
"easy booking in system and friendly efficient helpful staff"
"First time I’ve used this garage but their collect and drop off service was important to me and worked really well. Can recommend and will definitely use them again." "A member of staff picked my car up and took it for service & MOT at 9am, got a call about work needing doing at midday and had my car dropped back to me at 4ish with all the work done and paperwork inside car. Really professional service and always happy to answer questions. 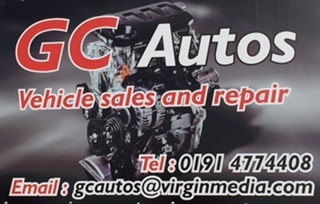 Used this garage twice for MOT & service now and would never go anywhere else!" "Great pick up and drop off service so I didn’t have to wait around." "Smooth and helpful service with no problems with my car dropped at my home in good time." "Very happy with the work. Quick and professional. Already recommended the garage to family." "Helpful staff, happy with all repairs I get done there. Would definitely recommend." Find MOT Garages in Gateshead; compare prices and book online, from the comfort of your own home, with BookMyGarage. This might sound like a question with an obvious answer: you need a garage that can service or repair your car quickly and at a good price. But think again and you may realise there are other factors that affect your choice of garage in Gateshead. If you need to bring your son or daughter with you when you take your car in, are there toys in the waiting room? If you’re dropping the car off between school and work, can you pick up a cup of coffee while you’re there? Might the garage even collect your car and drop it back at your house after the work is done? You can find answers to all these questions on BookMyGarage.